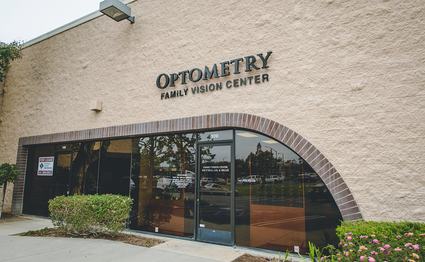 From our conveniently located office in Ventura, Family Vision Center has been serving Ventura County for more than 37 years. We are now located on Telephone Road and Market Street. Family Vision Center is open Monday through Friday 9:00 a.m. to 6:00 p.m.. We are also open 2 Saturdays per month from 9:00 a.m. to 4:00 p.m. Please call us to make an appointment with our eye doctors in Ventura, CA to talk about your eyeglasses, contact lenses or specialty lens needs. Or just drop in anytime to browse through our large selection of designer eyeglass frames or sunglasses. 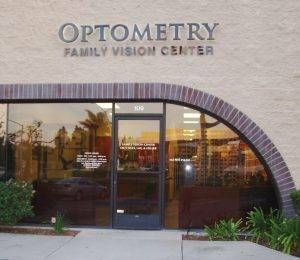 Welcome to Family Vision Optometric Center, serving Ventura County for over 37 years! Please note our new location just 2 blocks south on Telephone Road from our previous location. We are at the corner of Telephone Road and Market Street, across from the Chevron Station.